Here. We. Go. This is it, the start of the third season of FC Cincinnati’s brief existence. I’m not sure if you’re allowed to admit this or not, but in year's past, it really didn't feel like the start of the season until the home opener. Maybe it’s the last two years of trying to get a stream to work in a bar or a friend’s house, figuring out if this version of the Roku can do YouTube live videos or if you have to do a software update. Or, god forbid, you have it streaming on two TVs and one ends up three seconds ahead of the other one. Blah. No more, it's broadcast TV for us now. We’re big league now! Or, not yet. Ugh, now I’m thinking about that. Quick, a distraction, uhh, we have new kits now too! . Anyway, this year feels different. I'm actually excited about the start of the season being today. The team is back, soccer is back, and we finally get to watch our guys play a competitive match. Not much has changed, just that the club did go out and buy a brand new team, a veritable not-quite-MLS-quality-but-almost all-star team, with the obvious goal of leaving the USL like Sherman left Atlanta. There’s going to be so much salt in louisville, harvests will suffer for five generations. And while I never want to see a club fold, and I want the most number of professional American soccer teams possible, thank god for the NASL’s troubles eh? Now we're just swimming in NASL Best 11 award winners and statistical leaders. This squad is not nearly the caliber it is today without the twitter-troll led ball of uncertainty that is the NASL. Hooray? New coaches have been brought in, a technical director was unveiled this week, and a deep squad. Last year, this team would have walked the league and it would not have been that close. Sadly, due to the constraints of our plane of existence being currently limited to the fourth dimension, we have to play the 2018 season with our current squad. And don’t look now, but the USL has stepped its game up. And by USL I mean the Eastern Conference because, seriously, who cares about the Western Conference. Nashville “Stolen Bid” SC, Indy 11, and North Carolina FC all joined the party. And the NASL diaspora has sent talented players to all corners of the league. On top of that, a coaching change in Pittsburgh and the disappearance of Orlando B and Rochester means this league is not going to be easy. 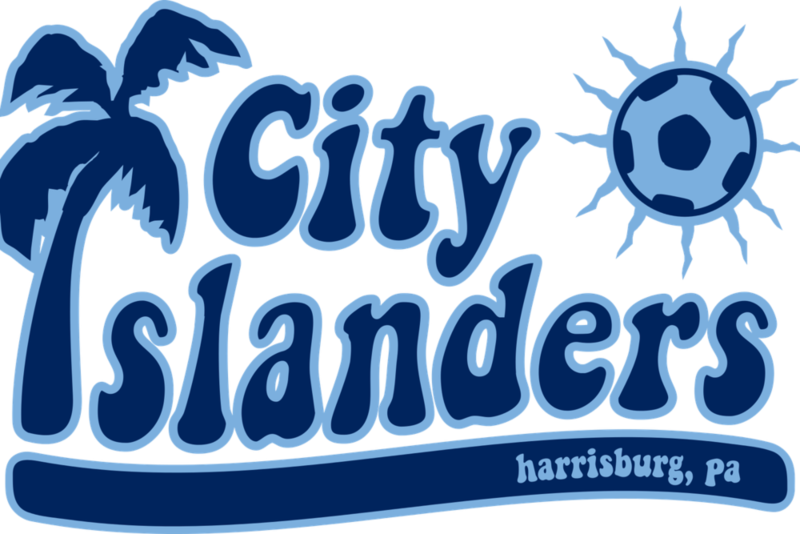 Also Harrisburg City Islanders changed their name and honestly, for me, it’s the biggest move of the off season and makes me a little less embarrassed to be in the league. I know that’s petty, but the unimaginative “Penn FC” is sooooo much better than a team from who-cares Pennsylvania having palm trees in their, uhh, crest? Logo? Microsoft Paint project? Regardless, this league is going to be fun this year. Today, the season opener is the test for the offseason. We start on the road, against a team where we recruited one of their best players away, and a team we’ve never beaten before. If all of the offseason moves, all of the money spent, all of coaching changes, all of the preparation that went into the preseason matters at all, we need to win this game. I hate putting pressure on a single game like that, and obviously the first game is where a lot of flukey nonsense can happen, but we need to win this game. This is a team that wants to win the Open Cup and win USL. If those goals are any measure, we need to win this game to prove this plot to take over the soccer world is going to bear any fruit. And if we don’t win, well, let’s get desperate and start a letter writing campaign to remind the club that Djiby and Okoli are still out of contract.